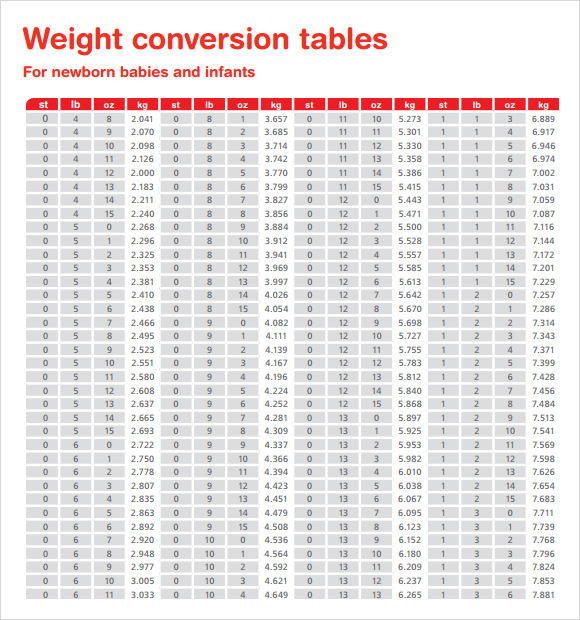 The conversion table chart is a means of measurement that continuously existing in all areas of the world. 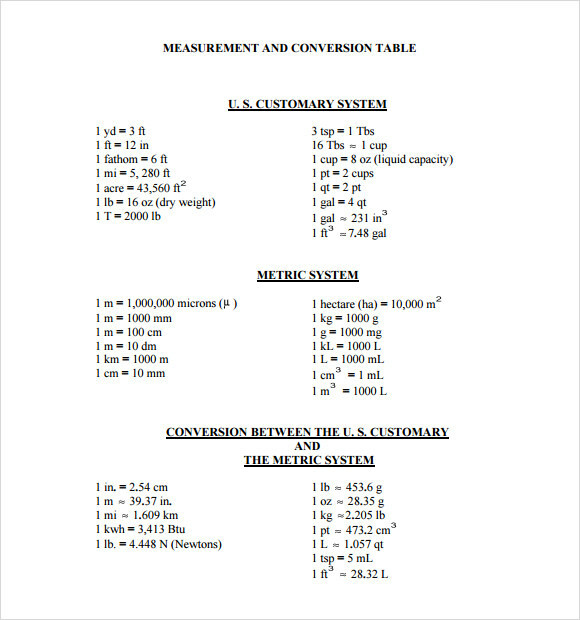 It lists all the units of measurement conversions in Microsoft Word/excel or PDF file. With the help of innovation, online conversion tool like this is an advantage and a great factor to have in our day to day living. This is ideal for studying mathematics subject. Anyone can get the examples in the conversion table chart template after downloading the format type. The sample Charts given can be print to have your own reference of conversion and computation. This is a general conversion which talks about the length, weight, mass and pressure of a particular object. 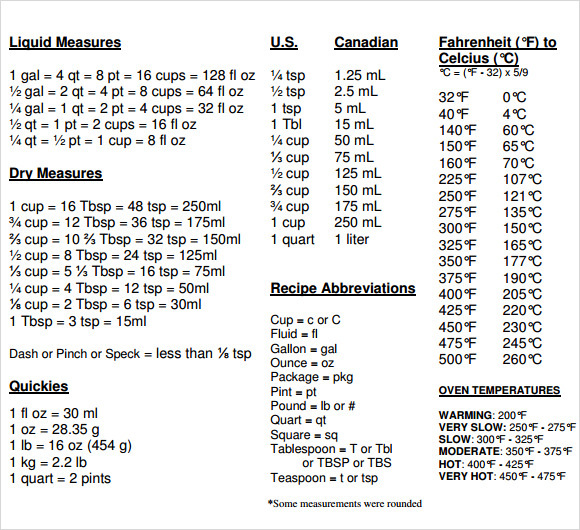 This is an example of temperature conversion chart table that can be used to convert Celsius to Fahrenheit units. The design of the theme is very simple and easy to follow. The overall look of the design is very neat. The user can effectively employ this design for the purpose of changing volume units and also mass units. This chart can prove to be very important and useful for the students who are solving mathematical problems. This is a chart that can be used for the purpose of creating a weight chart that can be referred to check the weight of the infant, new born babies and very young children. Both parents and doctors can find this theme useful. This is a theme chart that is one of the most effective standards for converting and measuring units. This theme is available in internet pages and can be downloaded in the form of word document. What are these Conversion Table Chart Templates? 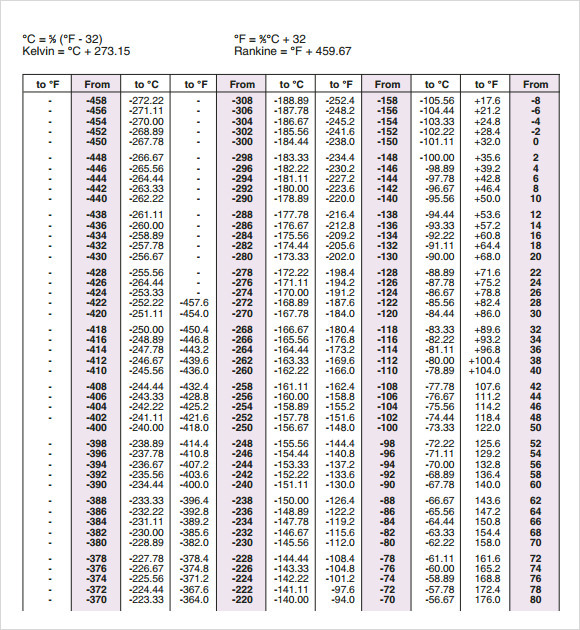 These conversion table chart templates are professionally designed layouts that can be employed in various contexts. Just as they can be used to convert units of measurement, they can have practical use such as creating a probable weight chart for babies at doctor’s clinics. Even the students can find these templates very useful to convert measurements and to solve their mathematical problems. 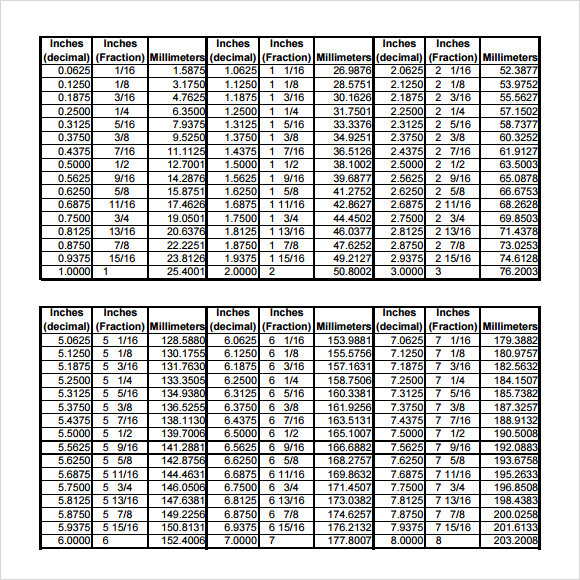 Who can use these Conversion Table Chart Templates? The prior section has given a hint on this. 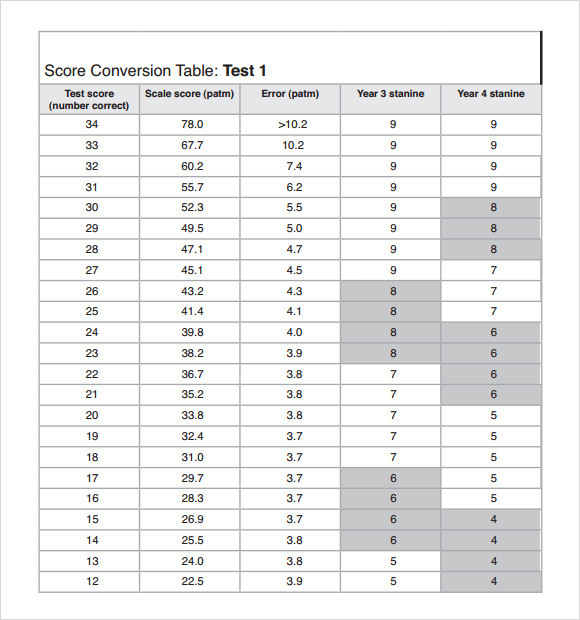 These Conversion Table Chart templates can be used by a wide choice of people. Just as they can be used by doctors, they can be used by any ordinary person to measure various things or to convert units of measurement and also at the same point they can be used by students and also the teachers to explain lessons. The templates are professionally designed. The entire design is very neat and tidy. The users can easily understand and follow them for various purposes. The templates are provided with responsive features. They are also hundred percent navigable. This facilitates the user to move about the template in a free manner and make changes in a swift pace. The templates can be useful in creating great conversion tables. The templates are built with great image resolution. The printouts attained from these templates can help the user to get very good quality of printouts. Hence they can be used by teachers and also by students. They are easy to remember and memorize. Hence they can be very beneficial for the students.and memorize. Hence they can be very beneficial for the students. 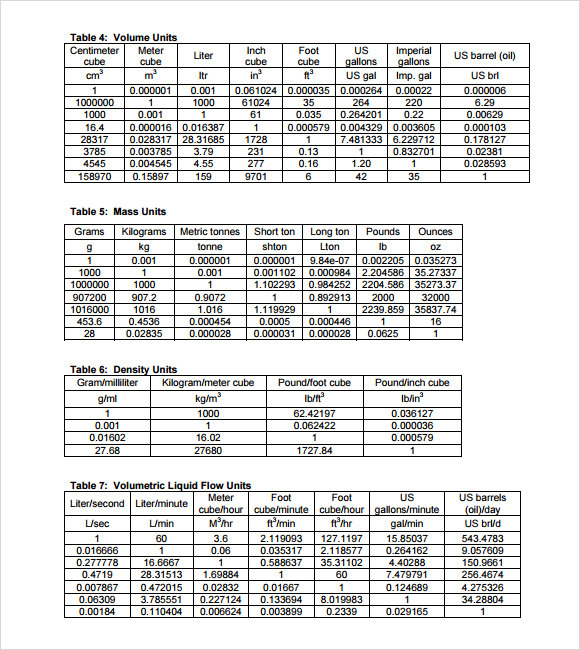 The conversion table chart templates can be used for the purpose of creating real life documents that can come useful in various contexts. The user can be supported to be more productive and effectively multitask. Use them to believe them.